In CRM 2011, when you hover mouse pointer on a field you get field’s ‘Display Name’ as Tooltip. 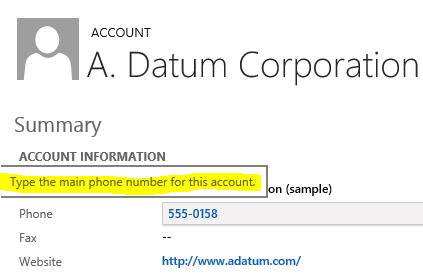 In CRM 2013, there is a slight design change. Whatever you specify in field’s ‘Description’ appear as Tooltip.